After working through a different version of Vogue’s V9007 skirt pattern, I decided to take the plunge. 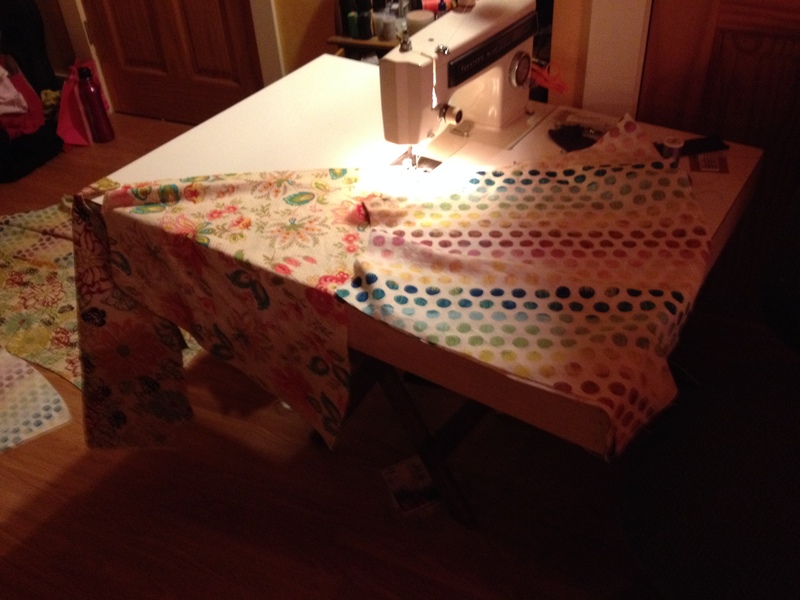 I cut up three fabrics at a time and am now chain piecing them on my machine. They’re so colorful and awesome! I’m wicked excited. Unfortunately, as it is 9 pm, we have to settle for poorly lit iPhone photos, but whatever. They are better than none! And, yes, that is Michael Miller’s Edges dots on the right. I’m really hoping the pattern will do it justice. We’ll just have to wait and see. Hopefully, I will be able to add a few posts for TGIFF this week! Wish me luck!! For today, I am linking up with Lee of Freshly Pieced. I’m in the same boat as you with after-dark WIP Wednesday photos. Those dots are going to make such a fun skirt! The skirt is going to be awesome!! !